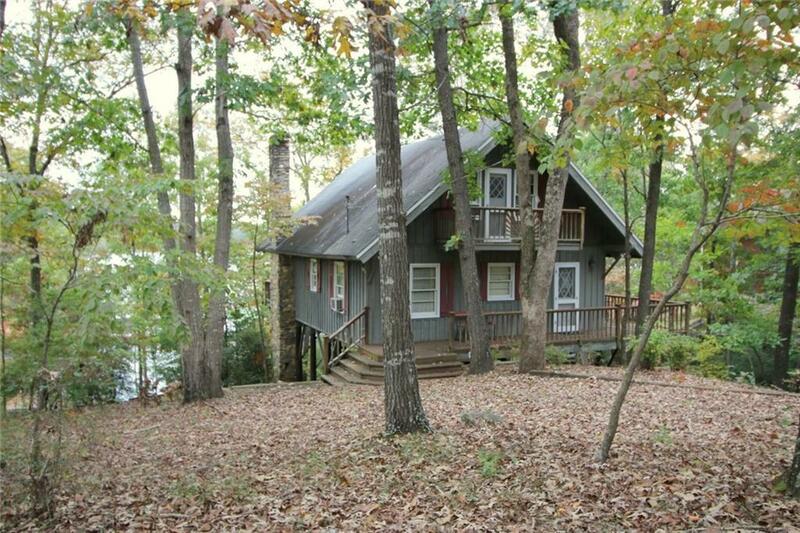 Fabulous unique cabin on Lake Hartwell with covered single slip dock. Perfect cabin for your get-a-ways to the lake. Great room with stone masonry fireplace, tongue and groove vaulted ceiling, keep warm with the wood burning stove on those chilly nights, wrap around deck overlooking the lake, large dining area and galley kitchen. Also, on main level, full bath and Master bedroom. Check out the walls, ceilings and doors-beautiful! Upstairs you will find two more bedrooms each with a balcony and vaulted tongue and groove beamed ceilings and half bath, lots of storage.